Melbourne Water pipe track: Construction of a 3-metre wide path along the Melbourne Water pipe track from Syndal to Mitcham is a key segment of the ‘Chirnside Park to Mordialloc Strategic Cycling Corridor,‘ identiﬁed by VicRoads as a regionally signiﬁcant cycling and walking route. Detailed design for the section of the path within the City of Whitehorse is complete and a construction and maintenance agreement for this project is in place with Melbourne Water – making this section of the project ‘shovel ready’. Planning is underway for the section of the path within the City of Monash. Government funding is sought for this vital project that, when completed, will provide safe and accessible walking and cycling infrastructure across the eastern region of Melbourne. (See image to the left). 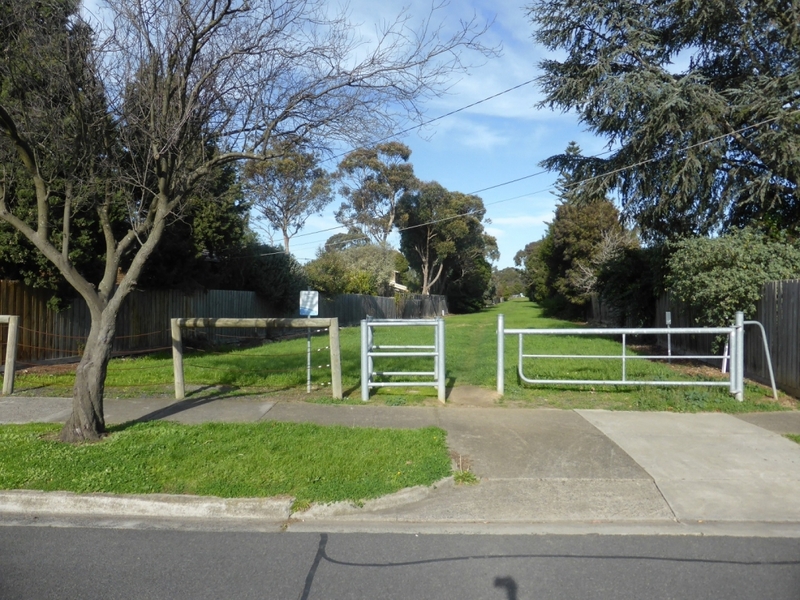 Former Healesville Freeway Reservation: The Victorian Government has committed to construct an east-west shared use path linking Dandenong Creek, Vermont to Springvale Road, Forest Hill. The path will be of regional signiﬁcance. The ETC strongly suggests that the government complete the master planning for the path and undertake its construction as a high priority, noting that this path has also been included as a VicRoads Strategic Cycling Corridor. The Brushy Creek Trail: The Brushy Creek trail in Mooroolbark provides the community with safe access to local destinations. To provide further access to urban centres for local residents and tourists, it is now requested that the Brushy Creek Trail is extended to Mooroolbark Township (off-road 2km).